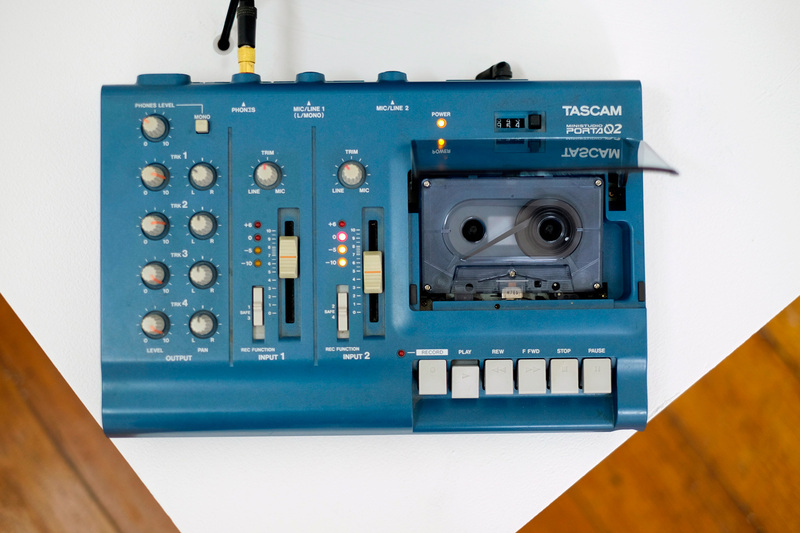 Intervened Loop cassette and Tascam 4-track. A cassette is a sound recording format consisting of a magnetic tape in which two pairs of stereophonic tracks are available: an A-side and a B-side. 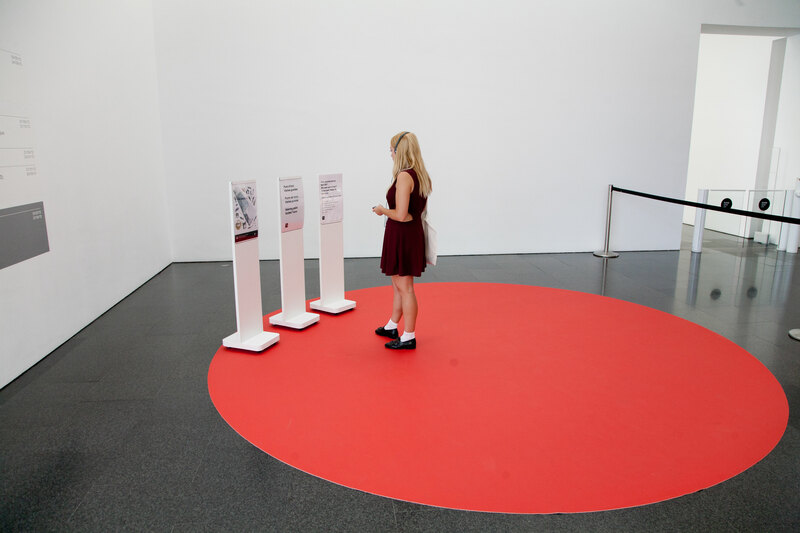 In this installation we intervened in the magnetic tape, making it possible to listen to the two sides of the cassette at the same time, generating a polyphony in which the A-side and the B-side carry out a dialogue in an infinite analogue déjà vu. 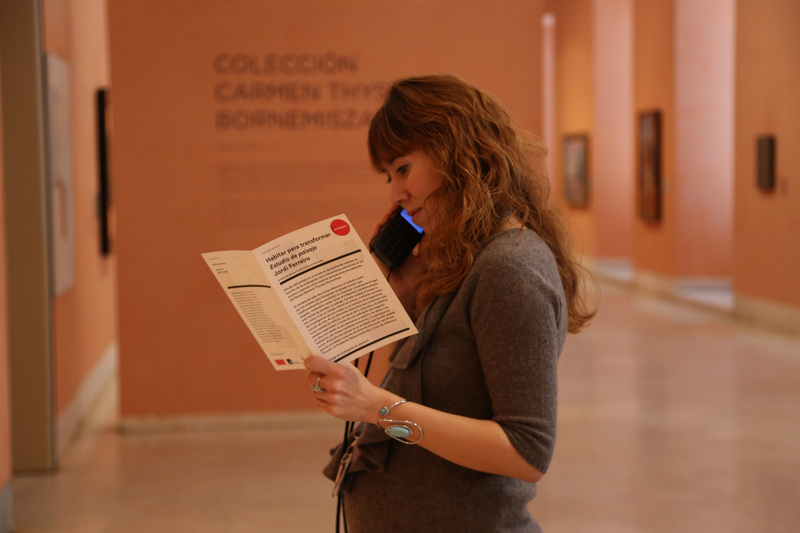 “Estudio del Paisaje” is a project designed to rethink the function of audio guides as educational tools in museums and generate alternate methods of approaching the collection of the Museo Nacional Thyssen-Bornemisza. The name of the project refers to the method used by artists for interpreting the natural landscape, which has traditionally consisted of a visual investigation into the chosen context visited in situ a number of times. 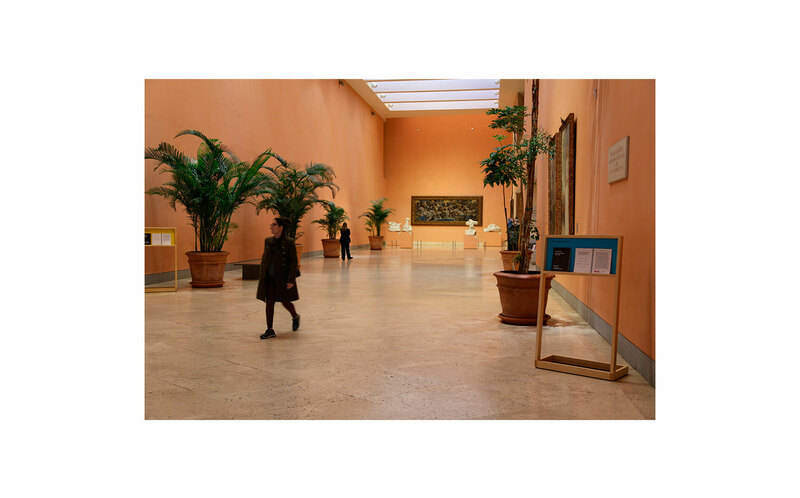 By utilising this metaphorical method of studying a landscape, Ferreiro analyses the museum “in situ”, as if it were a natural landscape, during a three-month research residency in the context of the Lección de Arte exhibition. 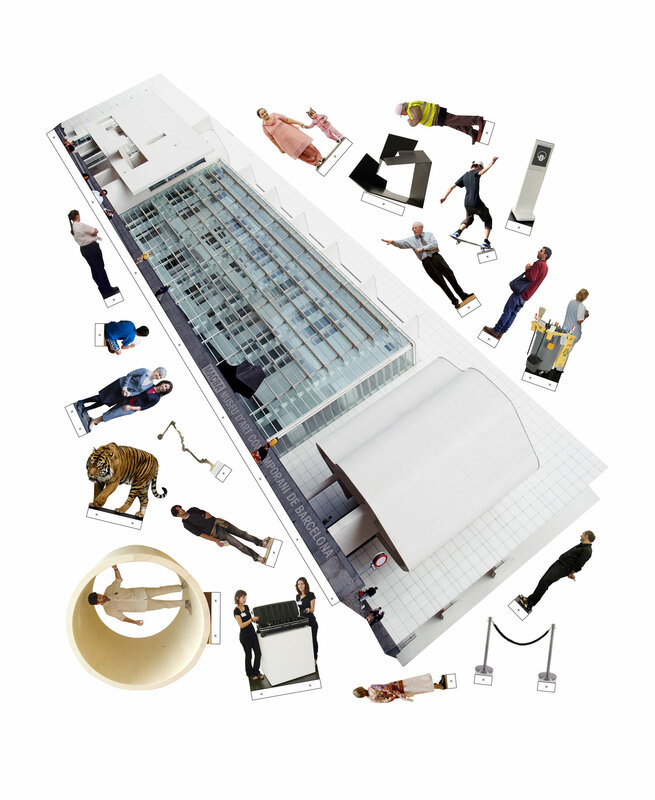 The different elements that make up this new landscape (the building, the pieces in the collection, and the visiting members of the public) are linked by an audio guide that organizes a discourse from which to view the space, the artworks and the museum’s visitors through listening and active participation. 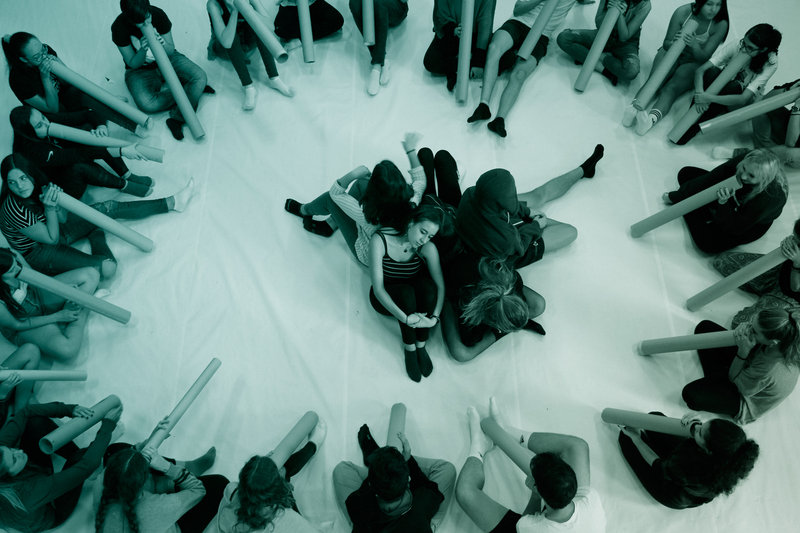 )))Reverberaciones((( (Reverberations) is a three-year residency project in the Instituto de Secundaria Moisés Broggi. 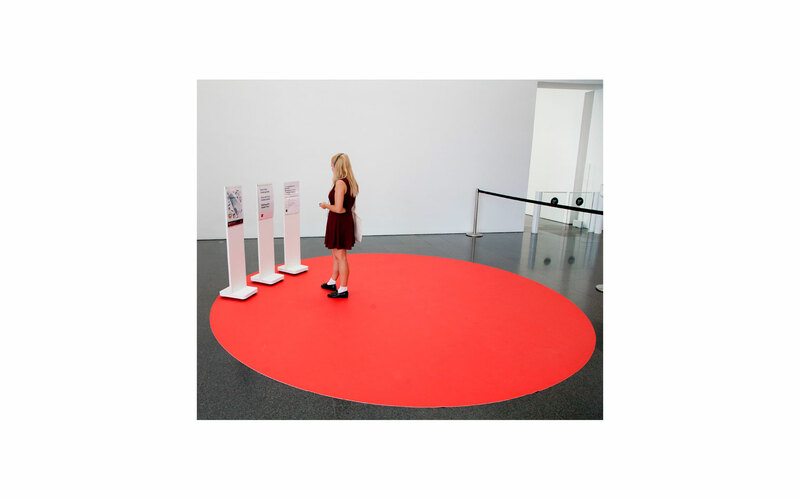 The objective of the project is to analyse the political and emancipatory potentiality of working with sound and active listening in contexts of formal education inspired by the ♀ Ensemble by artist Pauline Oliveros. 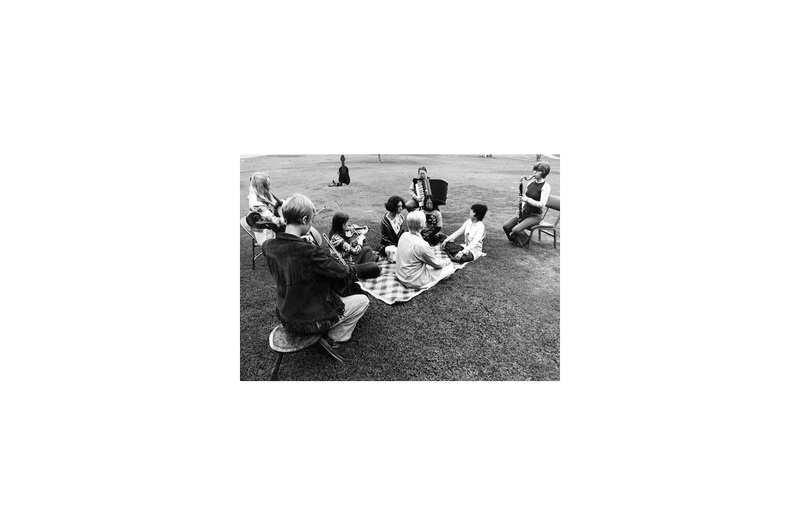 We consider a school education to be an individualised, fragmented process that holds collectivisation in contempt. To understand education as a political act is to collectivize learning and turn it into a responsibility for everyone (students, teachers and family). It transforms education into a tool that helps us understand the world as not merely a space for the “I”, but as something greater: a space for “us”. 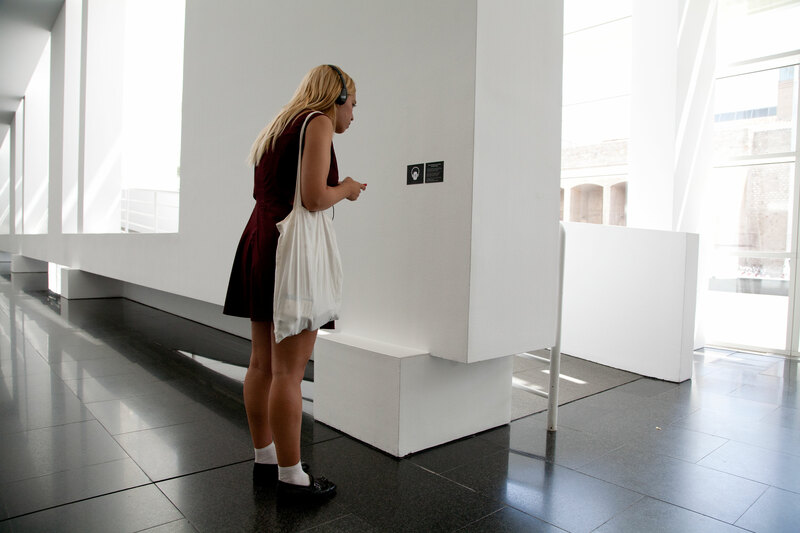 The work takes the form of an audio guide that encourages the participation of the public, playing with the boundaries between passive and active spectators. 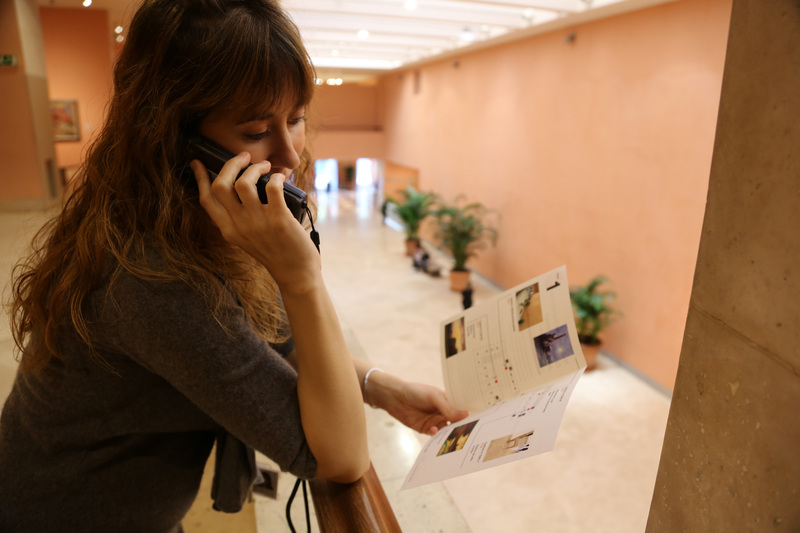 In developing the piece, I interviewed various people associated with the museum (staff, visitors, etc…) about their relationship to it and developed a route based on these personal histories. 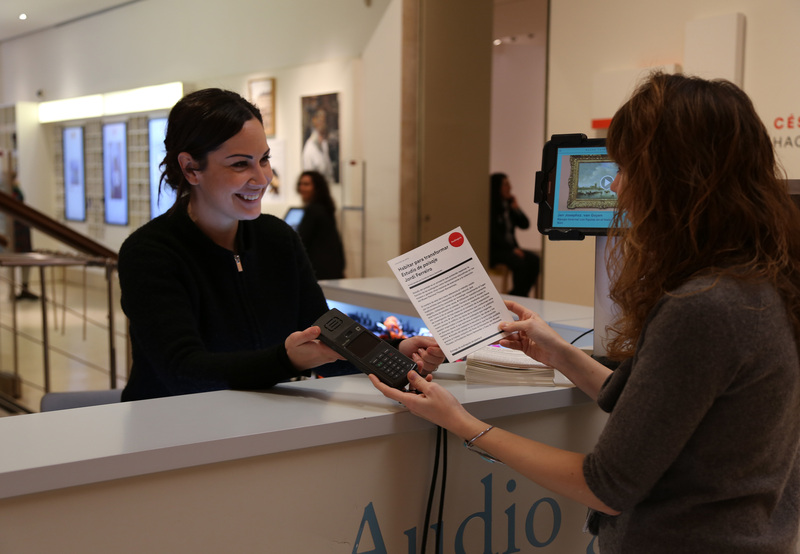 The visitor is invited to follow the wall labels of the audio guide, accompanied by the instructions and commentary of recording, which will lead them through the different spaces of the museum.